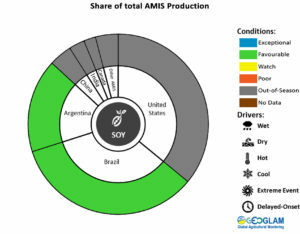 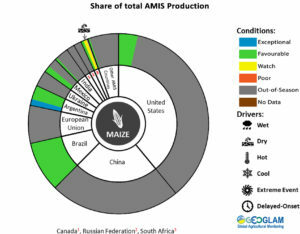 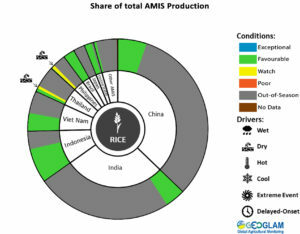 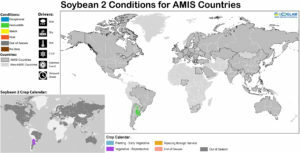 Crop condition map synthesizing information as of March 28th. 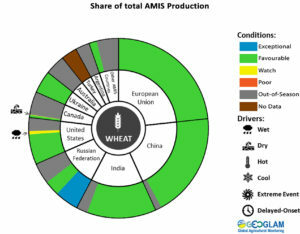 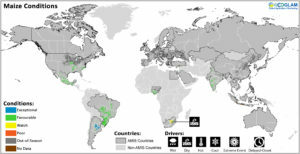 Crop conditions over the main growing areas are based on a combination of inputs including remotely sensed data, ground observations, field reports, national, and regional experts. 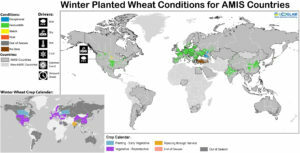 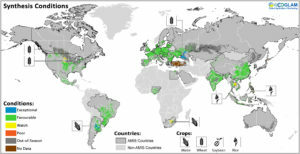 Regions that are in other than favourable conditions are labeled on the map with a symbol representing the crop(s) affected.